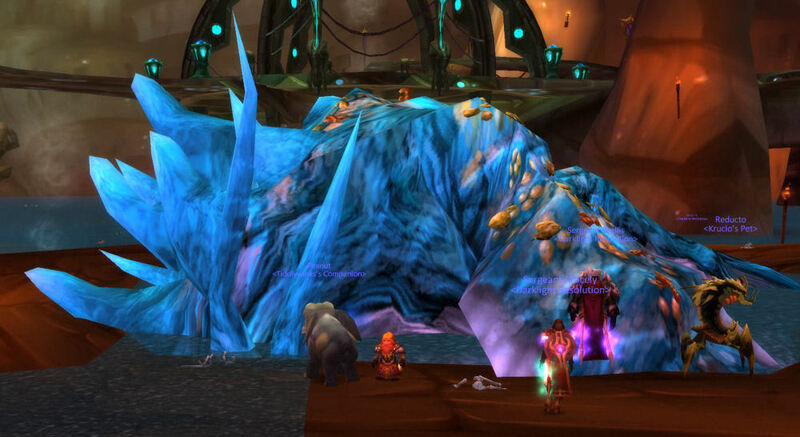 So last night, as you might have seen, the Gold 25 Man Team took down the Lurker Below! We started the night on a good note quickly taking out Gruul, skipped Magtheridon and went straight to SSC. Trash was cleared quickly with quite a few purples dropping including a Leatherworking and Blacksmithing pattern (never seem to see a tailoring pattern though). 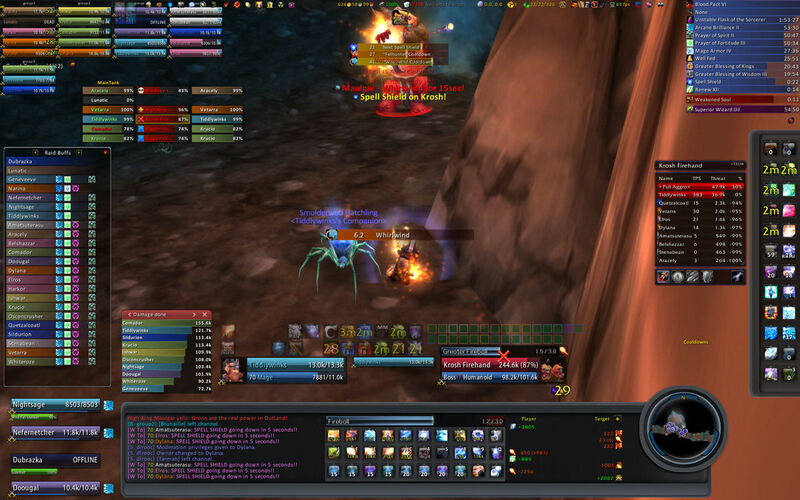 We had a few new people in the group, so after a quick explanation, we got set up and took on the Lurker. He managed to get us the first time through, but we quickly regrouped, and with everyone seeing the fight now, we took him out! My sheep was left alone the whole fight and never broke (yay! for me - boo I'm the only mage). 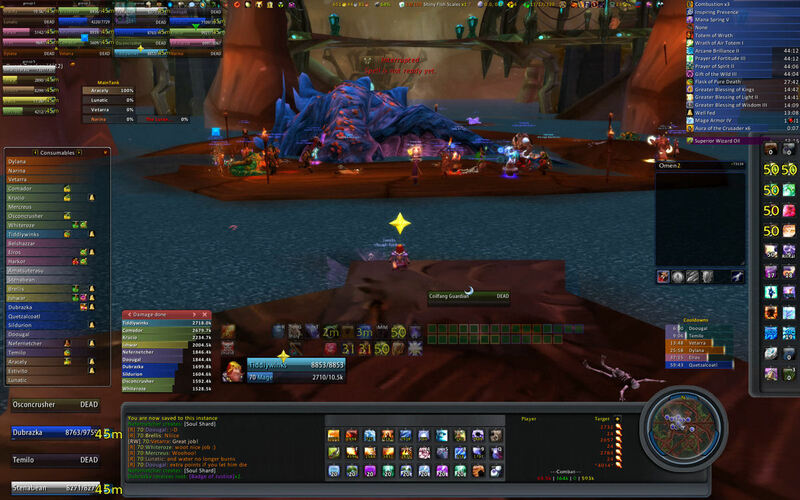 The healing on the individual platforms was amazing as we lost our hunter on our platform on th second dive but we were able to DPS both naga down without any CC on the subsequent dives. It sure was fun being able to go all out on DPS without worrying about aggro. We completely destroyed the Lurker before his first dive getting him under 65% and I was able to sustain almost 1,100 DPS while sheeping and sitting around waiting for the lurker to emerge. It sure is fun doing over 10% of the total raid damage for a 25 man fight. On a side note, now that I am a class leader (DPS Casters), I seem to have amassed more addons than I would care to have on the screen. 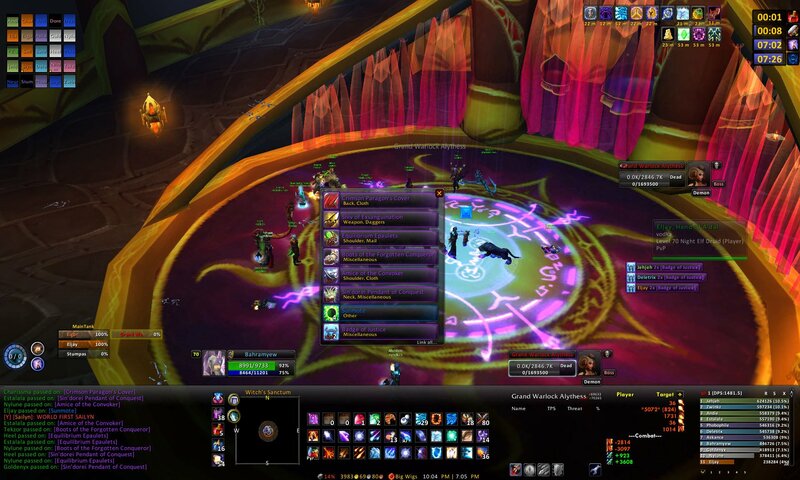 Big Brother was added to monitor my sheeps, but being able to see all pally buffs, consumables, and raid buffs is nice as I can quickly call out if someone needs to be rebuffed or alert people that they don't have food buffs (more on this in another post). I also installed Pally Power to monitor Pally Buffs which is nice because it allows me to quickly whisper a pally if I need a rebuff (i.e. Salvation after clicking it off to tank Krosh). As I am an assist, I can also switch up Pally Buffs as needed (e.g. no Salvation during Lurker fight). I also have Ora2 which litters my screen with tanks and tank targets, cooldowns for locks and druids, and ready checks. Patch 2.4.2 seems to have broken one of my cooldown monitors, but usually that is up as well. 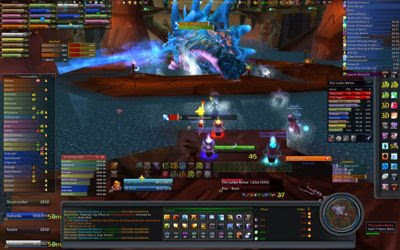 Below is a screenshot of my Raid UI while tanking Krosh (and below it fighting Lurker). After Lurker was defeated, we moved on and cleared trash to the next boss, but had no time to even attempt him. Overall, a very successful night as we have made progress and had a great time doing it. SSC is on notice! I'd recommend closing Big Brother while you're in combat. You don't need to know the status of people's buffs while everyone is fighting and unable to buff, so it's wasted space. I'd also remove the group display you have on the bottom left. Your group is already displayed in the raid area, so it's duplicate information. With that extra space, you can move the damage meter to that spot, and free up more viewing room. 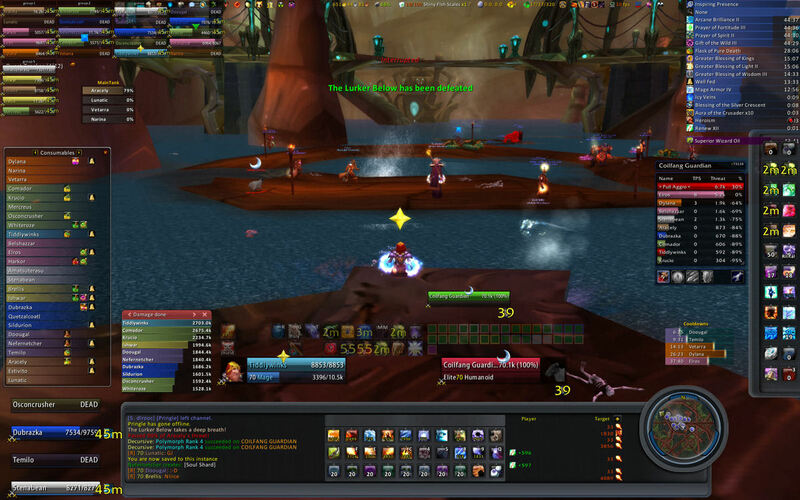 From there, you can either move the ORA2 tank window directly under the raid group, or more efficiently, move the buff list under it and probably shrink the width, which gives it plenty of room to grow and shrink without overlapping your right sidebar like it currently does. Finally, you can move the ORA2 tank window above that right sidebar where the buffs currently are. The tank list usually never grows to more then 4-6 tanks, so it should stay clear. Great ideas. I just don't usually target stuff over to the extreme sides of my screen, so the large Big Brother display doesn't bother me too much there (other than, like you said, it pushes my damage meters to the right and towards the center). As for the party info, not quite sure how to disable party information when I'm in a raid - I'll have to look into it. I like it there when I'm in a party though, so I might have to live with it there. I can't move my buff list! My precious buff list. I am so used to it there it would really pain me to move it. I keep telling myself I'll redo the UI one day, but keep forgetting. This UI is pretty gorgeous.